The Shakespeare Authorship Question is the debate about whether the works traditionally attributed to William Shakespeare of Stratford-upon-Avon were actually composed by another writer or group of writers. The subject has attracted wide attention and a consistent following, including many prominent public figures, but is dismissed by the great majority of academic Shakespeare scholars. [c] Those who question the attribution believe that "William Shakespeare" was a pen name used by the true author (or authors) to keep the writer's identity secret. Of the numerous proposed candidates, major nominees include Edward de Vere, 17th Earl of Oxford, who currently attracts the most widespread support, statesman Francis Bacon, dramatist Christopher Marlowe, and William Stanley, 6th Earl of Derby, who is often associated with various collaborative or "group" theories of authorship. Authorship doubters cite evidentiary gaps in Shakespeare of Stratford's biography, and believe if he was involved at all, it was more likely as a front man or play-broker. Skeptics such as Charlton Ogburn and John Michell believe he lacked the extensive education necessary to write the collected works, which display a comprehensive knowledge of classical literature, law and foreign languages, and noted writers such as Mark Twain, Walt Whitman, and Henry James have questioned how he could have gained the life experience and adopted the aristocratic attitude that is evident in them. In an approach which has its foundation in biographical criticism, many authorship researchers also focus on the relationship between the content of the plays and poems, and a candidate’s known life experiences and recorded history. The hypothesis has drawn some support among mainstream Shakespeare scholars and literary historians, although the majority of academicians continue to support the traditional authorship theory. [d] These researchers say that both the First Folio and the Stratford monument bear witness to a correlation between the theatrical author and Shakspere of Stratford, and that scarcity of biographical data is normal for this period. According to most Shakespearean experts, title pages, testimony by other contemporary poets and historians, and official records also support the mainstream view. 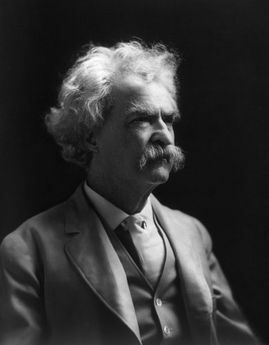 Skeptic Mark Twain questioned life experience of WS. An common view of many who question Shakespeare of Stratford’s authorship is the concept that most authors reveal themselves in their work, and that the life experience and personality of an author can generally be discerned from his or her writings. This perceived dissonance between personal biography and artistic output has led many authorship doubters to look for alternative explanations. Notable figures who have expressed criticism include Mark Twain, Walt Whitman, Friedrich Nietzsche, Sigmund Freud, Mortimer J. Adler, John Galsworthy, and Tyrone Guthrie. More recently, Supreme Court Justices Harry A. Blackmun, John Paul Stevens, and Sandra Day O'Connor, and prominent Shakespearean actors John Gielgud, Derek Jacobi and Mark Rylance have all made public announcements regarding their skepticism. In September 2007, the Shakespeare Authorship Coalition sponsored a "Declaration of Reasonable Doubt" to encourage new research into the question of Shakespeare's authorship, which has been signed by more than 3000 people, including over 500 academics in subjects ranging from English and History to Medicine, Philosophy and Science. 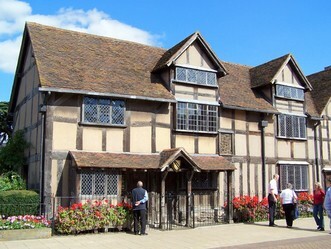 Some doubters, such as independent researcher Diana Price, and Oxfordian researcher Charlton Ogburn, Jr., say there is no direct evidence clearly identifying Shakespeare of Stratford as a playwright, and that the majority of references to "William Shakespeare" by contemporaries refer to the "author", not necessarily the Stratford businessman. Price believes that for a professional author, Shakespeare of Stratford was entirely uninterested in protecting his work. Price explains that while he had a well-documented habit of going to court over relatively small sums, he never sued any of the publishers pirating his plays and sonnets, or took any legal action regarding their practice of attaching his name to the inferior output of others. Price also notes there is no evidence Shakespeare of Stratford was ever paid for writing, and his detailed will failed to mention any of Shakespeare's unpublished plays or poems or any of the source books Shakespeare was known to have read. Ogburn also questioned why, when Shakespeare of Stratford died, he was not publicly mourned. Mark Twain wrote, in Is Shakespeare Dead?, "When Shakespeare died in Stratford it was not an event. It made no more stir in England than the death of any other forgotten theater-actor would have made. Nobody came down from London; there were no lamenting poems, no eulogies, no national tears — there was merely silence, and nothing more. A striking contrast with what happened when Ben Jonson, and Francis Bacon, and Spenser, and Raleigh, and the other literary folk of Shakespeare’s time passed from life! No praiseful voice was lifted for the lost Bard of Avon; even Ben Jonson waited seven years before he lifted his." While the great majority of the academic community continues to endorse the traditional attribution, the authorship question has achieved some degree of acceptance as a legitimate research topic. In late 2007, Brunel University of London began offering a one-year MA program on the Shakespeare authorship question, and in 2010, Concordia University (Portland, Oregon) opened a multi-million dollar Shakespeare Authorship Research Centre, under the direction of authorship doubter Daniel Wright, a Shakespeare scholar and Concordia's professor of English for many years. Stratford house believed to be Shakspere of Stratford's home. The mainstream view, overwhelmingly supported by academic Shakespeareans, is that the author known as "Shakespeare" was the same William Shakespeare who was born in Stratford-upon-Avon in 1564, moved to London and became an actor and sharer (part-owner) of the Lord Chamberlain's Men acting company (later the King's Men) that owned the Globe Theatre and the Blackfriars Theatre in London and owned exclusive rights to produce Shakespeare's plays from 1594 on, and who became entitled to use the honourific of gentleman when his father, John Shakespeare, was granted a coat of arms in 1596. According to the traditional attribution, William Shakespeare of Stratford-upon-Avon is identified with the writer by at least four pieces of physical contemporary evidence that firmly link the two: (1) His will register bequests to fellow actors and theatrical entrepreneurs, two of whom edited his works, namely (Heminges and Condell); (2) His village church monument bears an inscription linking him with Virgil and Socrates; (3) Ben Jonson linked the writer with the Stratford territory, in calling him the 'Swan of Avon'; and (4) Leonard Digges, in verses prefixed to the First Folio, speaks of the author's 'Stratford Monument'. Mainstream critics such as Scott McCrea believe that certain anti-Stratfordian approaches for establishing an alternative candidate, such as finding cryptograms embedded in the works, are unreliable. This, they argue, explains why so many candidates have been nominated as the author. Shakespearean scholar Jonathan Bate believes that the idea that Shakespeare revealed himself in his work is a romantic notion of the 18th and 19th centuries, applied anachronistically to Elizabethan and Jacobean writers. Orthodox scholars including Harold Love say that no alternative theory satisfactorily accounts for the positive contemporary evidence documenting Shakespeare’s authorship—title pages, testimony by other contemporary poets and historians, and official records—and the lack of any such supporting evidence for any other author. Terence Schoone-Jongen, in Shakespeare's companies: William Shakespeare's Early Career and the Acting Companies, 1577-1594, wrote that biographical interpretations of literature are invalid for attributing authorship. Although little biographical information exists about Shakespeare of Stratford compared to later authors, Bate writes that more is known about him than about most other playwrights and actors of the period. This lack of information is unsurprising, he says, given that in Elizabethan/Jacobean England the lives of commoners were not as well documented as those of the gentry and nobility, and that many—indeed the overwhelming majority—of Renaissance documents that existed have not survived until the present day. The neutral point of view policy requires that all majority and significant-minority positions be included in an article. However, it also requires that they not be given undue weight. A conjecture that has not received critical review from the scientific community or that has been rejected may be included in an article about a scientific subject only if other high-quality reliable sources discuss it as an alternative position. Ideas supported only by a tiny minority may be explained in articles devoted to those ideas if they are notable. " In general, Wikipedia should always give prominence to established lines of research found in reliable sources and present neutral descriptions of other claims with respect to their historical, scientific, and cultural prominence. " Claims derived from fringe theories should be carefully attributed to an appropriate source and located within a context... Such claims may contain or be followed by qualifiers to maintain neutrality... but restraint should be used with such qualifiers to avoid giving the appearance of an overly harsh or overly critical assessment. This is particularly true within articles dedicated specifically to fringe ideas: Such articles should first describe the idea clearly and objectively, then refer the reader to more accepted ideas, and avoid excessive use of point-counterpoint style refutations. It is also best to avoid hiding all disputations in an end criticism section, but instead work for integrated, easy to read, and accurate article prose." A fringe subject (a fringe theory, organization or aspect of a fringe theory) is considered notable enough for a dedicated article if it has been referenced extensively, and in a serious and reliable manner, in at least one major publication that is independent of their promulgators and popularizers." More extensive treatment should be reserved for an article about the idea, which must meet the test of notability. Additionally, when the subject of an article is the minority viewpoint itself, the proper contextual relationship between minority and majority viewpoints must be clear. b. Supreme Court Justice John Paul Stevens, a noted Oxfordian, has stated that most references to the man from Stratford in legal documents usually spell the first syllable of his name with only four letters, "Shak-" or sometimes "Shag-" or "Shax-", whereas the dramatist's name is more consistently printed as "Shake". The un-hyphenated spelling "Shakespeare" appears on 22 of 58 quartos, and Shakespeare's name was hyphenated on the title pages of 15 quartos, and on several dedicatory poems, and on SHAKE-SPEARE's Sonnets. c. In the (30 August 2005) New York Times, Niederkorn writes, "The traditional theory that Shakspere was Shakespeare has the passive to active acceptance of the vast majority of English professors and scholars, but it also has had its skeptics, including major authors, independent scholars, lawyers, Supreme Court justices, academics and even prominent Shakespearean actors. Those who see a likelihood that someone other than Shakspere wrote the plays and poems attributed to him have grown from a handful to a thriving community with its own publications, organizations, lively online discussion groups and annual conferences." d. H. N. Gibson writes, "Although it is not properly my business, I feel that in the interests of fairness I ought to point out that most of the sins of omission and commission I have just laid to the charge of the theorists can also be found among the orthodox Stratfordians when they write a panegyric of their hero. They even have a group - the Bardolators - who are almost as wild and woolly as the Bacon Cryptologists." On page 30, Gibson continues, "Most of the great Shakespearean scholars are to be found in the Stratfordian camp; but too much must not be made of this fact, for many of them display comparatively little interest in the controversy with which we are dealing. Their chief concerns are textual criticism, interpretation, and the internal problems of the plays, and they accept the orthodox view mainly because it is orthodox. The Stratfordians can, however, legitimately claim that almost all the great Elizabethan scholars who have interested themselves in the controversy have been on their side." e. William Niederkorn writes: "Among the [anti-Stratfordian] conferences where I have spoken, Stratfordians have always been welcome to present papers. At one that I attended, [Stratfordian] Alan Nelson was honored at the awards banquet. The Oxfordian, the best American academic journal covering the authorship question, publishes papers by Stratfordians. By contrast, there is no tolerance for anti-Stratfordian scholarship at the conferences and journals Stratfordians control." See William Niederkorn, 'Absolute Will,’ Powell's Books, 2010. McMichael, George, and Edgar M. Glenn.Shakespeare and His Rivals: A Casebook on the Authorship Controversy (1962), 56. Charlton Ogburn,The Mysterious William Shakespeare: the Myth and the Reality (1984); Jonathan Bate, The Genius of Shakespeare, pg 69. James, Oscar, and Ed Campbell.The Reader's Encyclopedia of Shakespeare (1966), 115. Gibson, H. N.The Shakespeare Claimants: A Critical Survey of the Four Principal Theories Concerning the Authorship of the Shakespearean Plays(2005) 48, 72, 124; Kathman, David. "The Question of Authorship" in Shakespeare: An Oxford Guide, Stanley Wells, ed. (2003), 620-632, 620, 625–626; Love, Harold. Attributing Authorship: An Introduction (2002), 194–209; Samuel Schoenbaum. Shakespeare's Lives, 2nd ed. (1991) 430–40. Price, Diana. Shakespeare's Unorthodox Biography: New Evidence of An Authorship Problem Author's website: Diana Price: About Shakespeare's Unorthodox Biography Westport, Ct: Greenwood, 2001. pp. 96-97. Looney, J. Thomas, "Shakespeare" Identified (NY: Frederick A. Stokes, 1920), 79-84. Love, 198-200, 303-207; Bate, 68-73. Schoenbaum, Sam, Shakespeare’s Lives, 2nd ed(Oxford: Oxford UP, 1991), 405, 411, 437; Looney, J. Thomas, "Shakespeare" Identified (NY: Frederick A. Stokes, 1920), 79-84. Price, Diana.Shakespeare's Unorthodox Biography: New Evidence of An Authorship ProblemAuthor's website: Diana Price: About Shakespeare's Unorthodox BiographyWestport, Ct: Greenwood, 2001. pp. 130-131. Sobran, Joseph. Alias Shakespeare: Solving the Greatest Literary Mystery of All Time. Free Press, 1997, pp. 25, 146. Ogburn (1984), pp. 112, 759. Twain, Mark. Is Shakespeare Dead? 1909.
funerary monument in Holy Trinity Church, Stratford, compares Shakespeare to Virgil and refers to his "living art"), and records by visitors to Stratford from as far back as the 1630s described it in this way. See McMichael, George and Edgar M. Glenn. Shakespeare and his Rivals: A Casebook on the Authorship Controversy (1962), 41. McCrea, Scott. The Case for Shakespeare (2005), xii-xiii, 10. Gibson, N.H. The Shakespeare Claimants, (1962, 2005), 10.